A restraint of trade is an agreement in terms of which one party agrees to restrict its freedom of trade in favour of the other party for a specified period. Restraints of trade are governed by the South African law of contract. 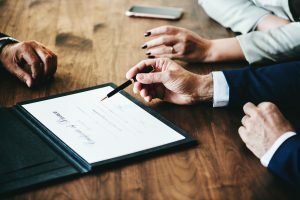 Employers often include a restraint of trade clause in an employee’s contract of employment to protect the employer’s trade secrets and confidential information. A restraint of trade is valid unless it can be proved that such restraint is unfair. The onus to prove unfairness therefore is on the party alleging the unfairness. That it is in the interests of society that persons be allowed to be productive, to exercise their chosen profession and to generate an income from it. Does one party have an interest that deserves protection following termination of the contract of employment? If so, is such interest threatened by the other party? In such a case, does such interest qualitatively and quantitatively outweigh the interest of the other party not to be economically inactive and unproductive? Is there an aspect of public policy that has nothing to do with the relationship between the parties that requires the restraint to be maintained or rejected? In the above court case, Reddy was working for Siemens and then resigned to enter the employ of Ericsson in a similar post. Siemens and Ericsson were competing companies in the same industry. Since Reddy had knowledge of important information and trade secrets of Siemens, the court found that the specific clause in Reddy’s contract of employment prohibiting Reddy to work for a specific company in direct competition with Siemens for one year following termination of his service, did not prevent Reddy from getting alternative work but only restricted his choice of employer, and consequently that the restraint of trade was fair. Seeing that Reddy would be working in a similar post at Ericsson, he would be in a position to disclose trade secrets of Siemens. A restraint of trade clause had been included in the contract specifically to avoid this risk, and Siemens was entitled to enforce the restraint. The unique circumstances of a restraint of trade therefore have to be considered in every case so as to determine whether or not it is fair.